I am replacing an LCD for a good friend, and during an LCD swap for this "Casio CA-851" I ran into a bit of a problem, and hoped that one of you could help me with it. 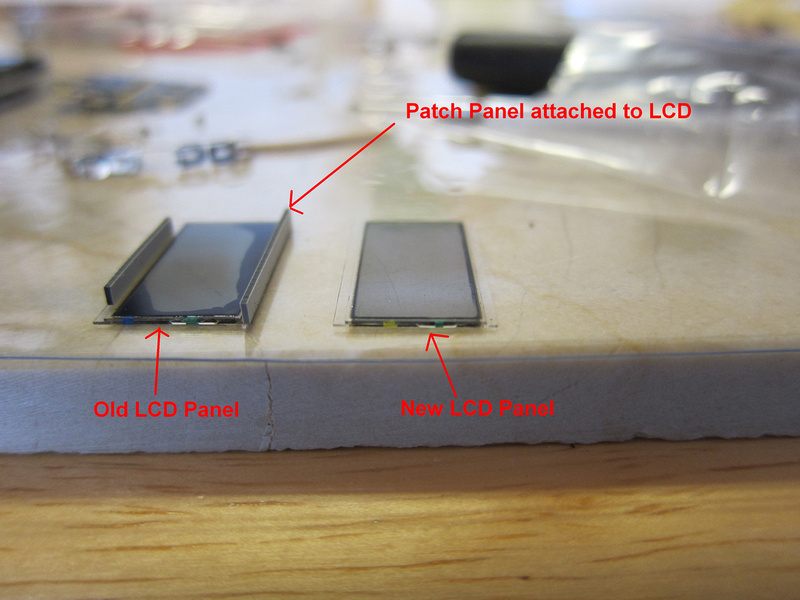 The problem is that replacement LCD does not seem to have the "patch panel" extension that allows the LCD to make contact with the circuit board. I have seen this configuration with the Seiko M159-5050, but the replacement LCD's come with the patch panel extensions. Is there a way to remove those extensions carefully, and attach them to the "new" LCD panel? Will I have to go back to the seller, and ask if he has mistakenly shipped me the totally wrong LCD panel? If anyone has any good/bad suggestions, I would greatly appreciate it because it is for my friend. 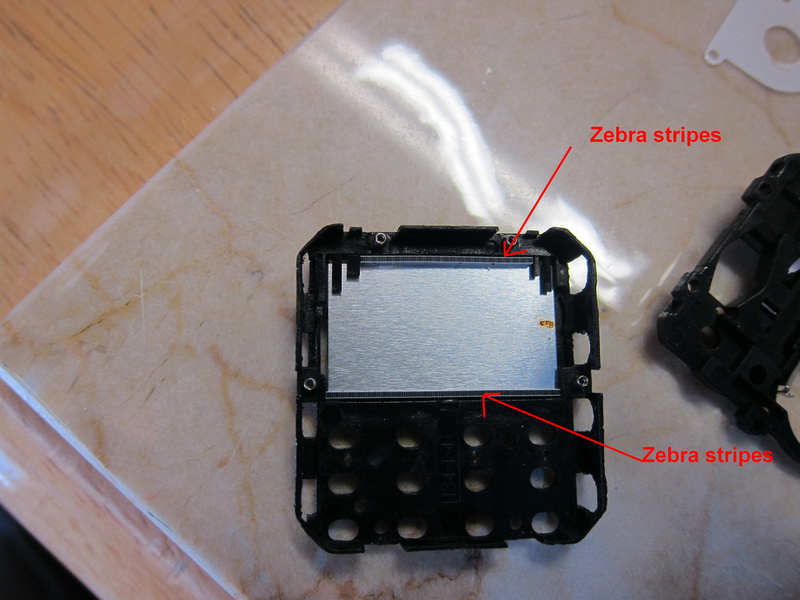 So, is there a "sticky" solution on the LCD side of the zebra strips? Will it remain sticky after I pull it apart? 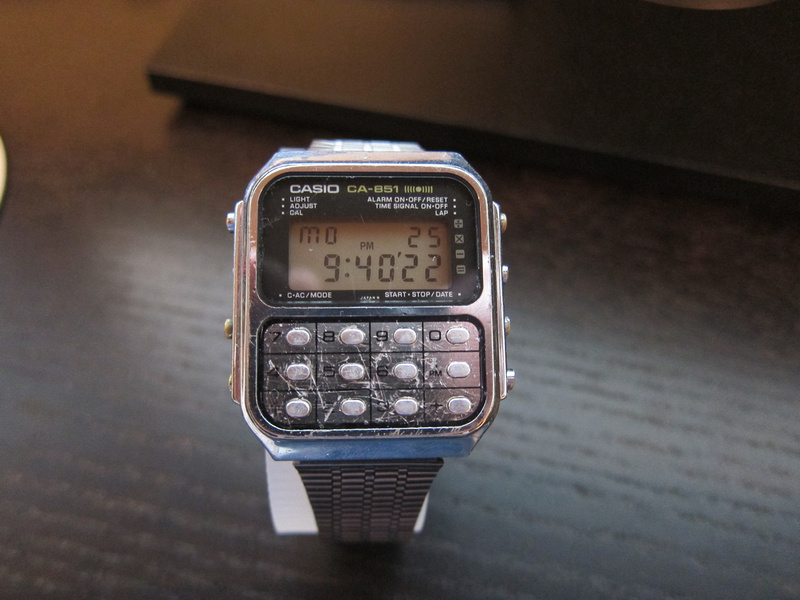 The reason I ask, is because with these Casio 134 modules, there is "no" gravity to help out like with Seiko modules. You have to have the zebra attaches when sliding it underneath the plastic LCD holder. I've taken countless screens off over the years, practically every one has the zebra strips stuck to the glass, but I've never come across any that had any kind of glue on them, I just assumed they got stuck there over time? Are you sure the holder doesn't come apart in any way? It doesn't sound very practical, even in first manufacture, unless they put it all together then sealed the holder around it? If I pull the zebra stripes away, how do I realign them to the new LCD panel? With the 134 module, there really is not a "trench" for the zebra stripes to sit in to auto align them. Here is a picture of the underneath side of the Casio 134 module, and I have pointed out where the "zebra stripes" are in relation to the LCD panel. Any ideas from the picture? Can't you just sit the zebra stips in like in the pic above then just reassemble on top? as long as they stay where they are they shouldn't go anywhere once it's all back together. Yes, I will try it out. Thank you all for your incredible help! No probs, that's what we're here for to help each other out, it's not that often I can help to be honest lol. Good luck with your project. Thank you Richard, Kasper, dutchsiberia. My friend if going to be happy. I wish I had the instructions to set this big guy. You guys were absolutely great! I forgot that Adam website had the instructions. Thanks you again. Nice work Patrick, with excellent results :) You'll never forget this.